Ads apear in full color at no additional charge! *Premium Positions are available and subject to publisher’s approval. Add 10% to Net Rate. Left/Right-hand page requests are considered Premium Positions. *All advertorial content must be approved by editorial prior to placement. 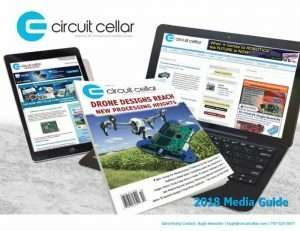 Contact Circuit Cellar for specifications and submissions guidelines. $60 per hour for any editorial work that must be done beyond: reviewing the files, creating the layout, and performing a basic spell check. Examples include: line editing, rewriting, art updating, and paragraph changes. 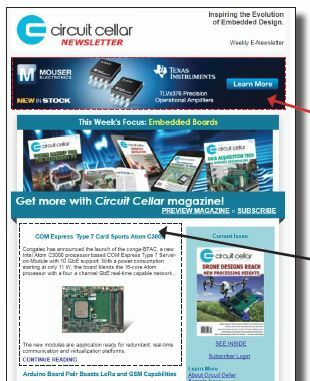 Hitting the inbox of thousands of opt-in subscribers each week, the Circuit Cellar Newsletter is the premiere e-newsletter for the embedded industry. Electronics news and insight, project information, timely offers, and more! 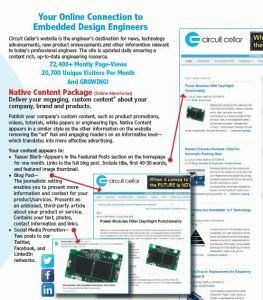 Circuit Cellar’s opt-in email subscriber list is comprised of engineers who are always learning, developing and pushing the advancement of technology. To do that they are constantly absorbing information. They have come to rely on Circuit Cellar as a key resource for that purpose. Our partner mailing program is a way for you to present your content in a direct, non-competion environment with the formating and branding elements that represent who you are. Deliver your engaging, custom content* about your company, brand and products. 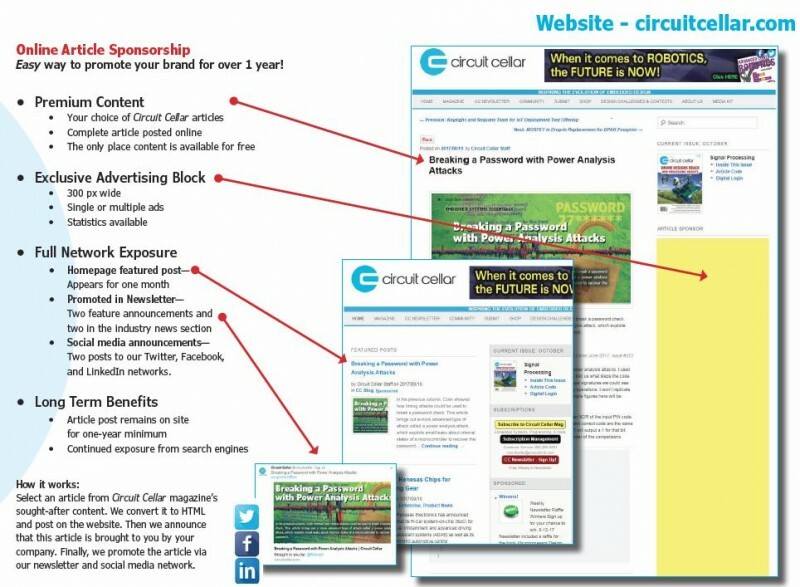 Publish your company’s custom content, such as product promotions, videos, tutorials, white papers or engineering tips. 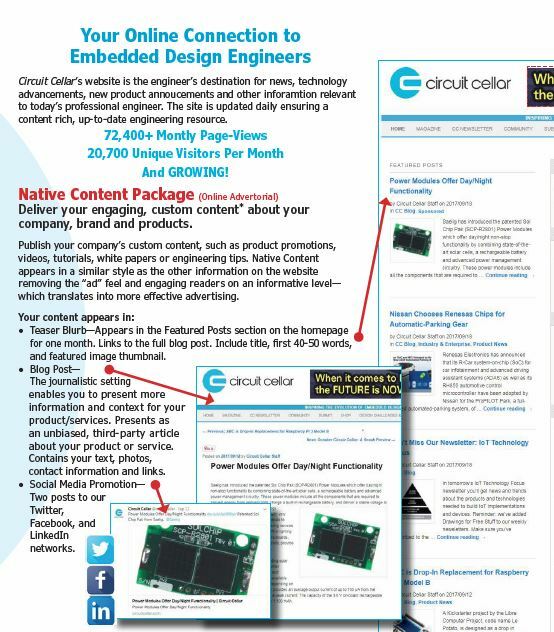 Native Content appears in a similar style as the other information on the website removing the “ad” feel and engaging readers on an informative level—which translates into more effective advertising. Teaser Blurb—Appears in the Featured Posts section on the homepage for one month. Links to the full blog post. Include title, first 40-50 words, and featured image thumbnail. Blog Post—The journalistic setting enables you to present more information and context for your product/services. Presents as an unbiased, third-party article about your product or service. Contains your text, photos, contact information and links. 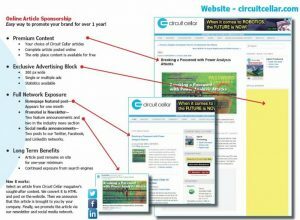 Social Media Promotion—Two posts to our Twitter, Facebook, and LinkedIn networks. way, marketers can catch the attention of internet users who tune out traditional advertising. Easy way to promote your brand for over 1 year! 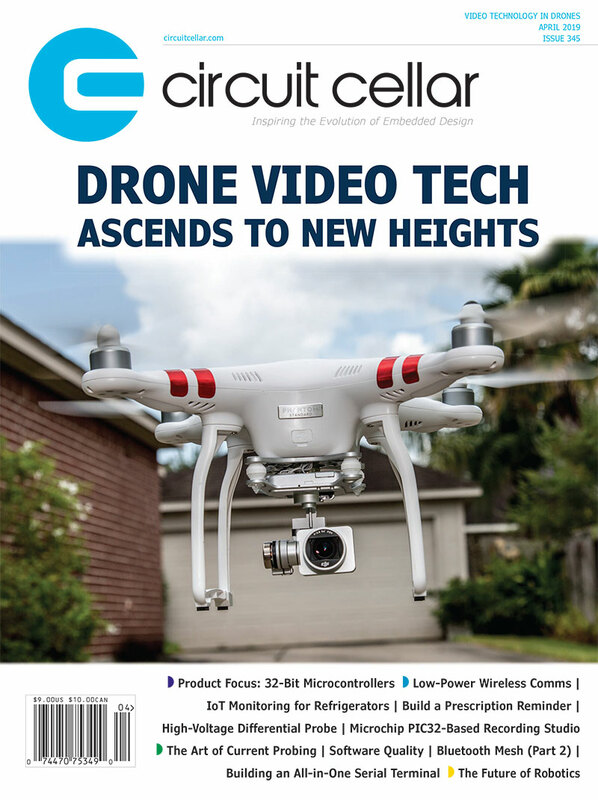 Select an article from Circuit Cellar magazine’s sought-after content. We convert it to HTML and post on the website. Then we announce that this article is brought to you by your company. Finally, we promote the article via our newsletter and social media network. Prepay available upon request. Confirm with your sales representative upon booking. 4% discount for 6 – 11 month contract. 8% discount for 12 months or more. The contract must be paid in full to qualify.